Now the New Moon and the Planets are making available renewed energy and inspiration for making decisions and moving forward with creative, courageous visions. The New Moon is on Leo, degree 4, conjunct with Jupiter on Leo, degree 3. Lynda Hill, astrologer uses Sabian symbols to help explain what is going on. I also like the Sabian symbols—the images are very useful, but usually I prefer Dane Rudhyar’s versions from The Astrology of Personality. My research for this piece included their work, as well as other astrologers. I selected aspects of the New Moon “story of now” (Casey) that spoke to me personally. My hope is that this work will be useful to you. Lynda Hill points out that Venus and Pluto are tightly opposing each other. This situation “…heralds a strong sense of change…” Important decisions re relationships, money, investments, debt, loyalties, friendships, desires, etc.” will arise. “Elderly man gazes at a moose head on clubroom wall. Rudhyar’s book was first published in 1936. For me, for many of us, the idea of hunting and killing wild animals, and hanging their heads on the wall as a trophy or symbol of accomplishment is not a positive act. But the energies of symbolism live, and embody the circular continuum of positive and negative. We can study the ashe (powers of one’s being) and character of the Moose, whose power the man thinks he has acquired. In the Animal Medicine Cards, Moose is an animal who represents the ashe of self-esteem. Moose is a proud animal, has a loud bellowing voice, is the largest and strongest of the antlered beings. King Moose knows “there is no greater joy than a job well done.” (Sams, Carson, p. 81) Moose take pride in their living, their ashe. King Moose knows he is worthy and tells the world. New Moon 4 degrees Leo is suggesting that we look at our issues around self-esteem, the masculine qualities of our character and worldly activities; our sense of self in relation to what we do and whether we are successful at it. It’s time to make sure that our trophies—our accomplishments—are authentic, caring and life affirming, honor all relations and most importantly, are actually fulfilling our own true destinies. The Sabian symbol is: “Mature woman, her hair bobbed, looks into a mirror. Bobbed, or short hair in Rudhyar’s time was (for some classes of people) a symbol of the modern woman, working outside of home, autonomous, independent, free of traditional subservient roles. Things are distorted in different ways now: we live in a youth worshipping (youth addicted) culture, that can be empty and valueless, but there is also a lot to be said for looking your best, no matter what your age. This is not about creating disguises, cosmetic (superficial) changes, creating false fronts or trying to be someone you are not. This is about—“meaningful alterations” (Hill). Making changes in your physical being, your outer appearance, especially re head and hair (Ori and Ade (crown)) can better reflect your inner being, your true intelligence and power. It’s time for your aspirations, your knowledge, wisdom, skills and abilities to shine through. Look in the mirror. Create the vision you wish to see: What are the persona and values you wish to radiate through the power of your appearance? 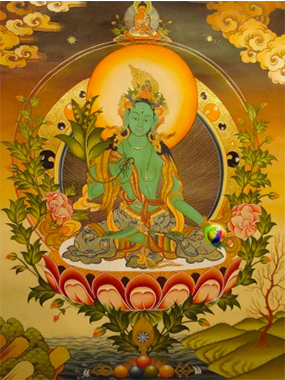 Praises for Green Tara, Iba’she Oshun Yeye o.
Expend effort to become Radiant, You are the Jewel in the Lotus. Spiraling in, spiraling out, growing, slowly and carefully, what is being created needs to come to term before it can be birthed. Praise Nature, Great Goddess ISIS Is is Is is the Great Mystery, women’s autonomous power, everything. 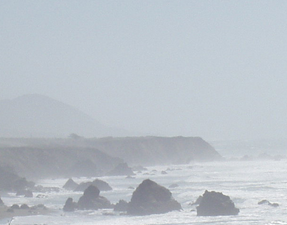 “Fog Rides The Shore, But On A Clear Rock A Cross Rests. “A student of nature lecturing, revealing little known aspects of life. Exercise and celebrate the beauty and power of your authentic voice. Speak up when it’s needed. Don’t overstate your talents or abilities. Practice sound respect—don’t be noisy when others are trying to sleep. “Rock formations towering over a deep canyon. “We may be pushed into jumping into the void, taking a big step, big risk, or figure out where we may have painted ourselves into a corner. The images suggest ancestors watching over us and the Tarot Fool card—Arcanum 0/22. The Fool is known for taking big chances, walking close to the edge, risking the big jump, free fall. Take care about what you speak, what you do. Remember ofo ashe-power of the word, iwa pele good (gentle) character-right action. Self-knowledge comes with experience and support. When in doubt, ask the Elders, consult the Oracle—they have the keys to the doorways of right choices, true path. Don’t be fool-led. Trickster is Serious fun. Esu ma semi o—Esu, please don’t trick me. You are still the Jewel in the Lotus. Is a call to think deeply and act accordingly on what you should be making noise about, and when and where to make it; as well as what to be low-key about, what to keep quiet. It is an opportunity to acknowledge your true accomplishments, and the truth of your relationships. Celebrate achievements among the members of your private or public relationships consciously, respectfully. 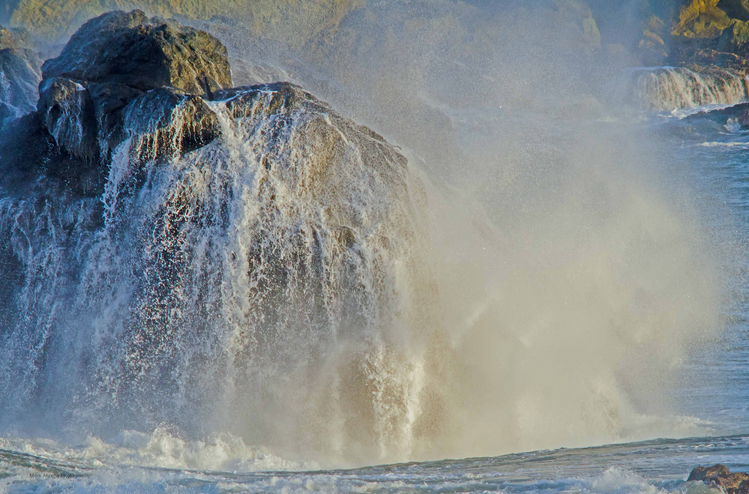 Renewal is based in journeying and connection to deep source, and returning with energy for inspiration, confidence and direction. Authentic self-confidence comes with knowing you did the real work, and therefore will receive your just, deserved reward. Like a game, like a joke. I am not an Astrologer, I like learning how to think about the energies, and symbolic imagery of the galaxy. Many thanks to my research sources—the learned astrologers and writers listed below for sharing their knowledge and wisdom. Caroline Casey. Visionary Activist Radio Program, KPFA-Pacifica, Berkeley, California. & Coyote Network News, The Mythological News Service for the Trickster Redeemer Within Us All. http://coyotenetworknews.com/. Elsa@elsa.com/astrology. New Moon Leo-July 26, 2014 – World Stage July 20, 2014. http://www.elsaelsa.com/astrology/2014/07/20/new-moon-in-leo-july-26-2014-world-stage/. July 20, 2014. Lynda Hill. Finding and Acknowledging Our Trophies: July’s Leo New Moon. http://sabiansymbols.typepad.com/my_weblog/. July 20, 2014.